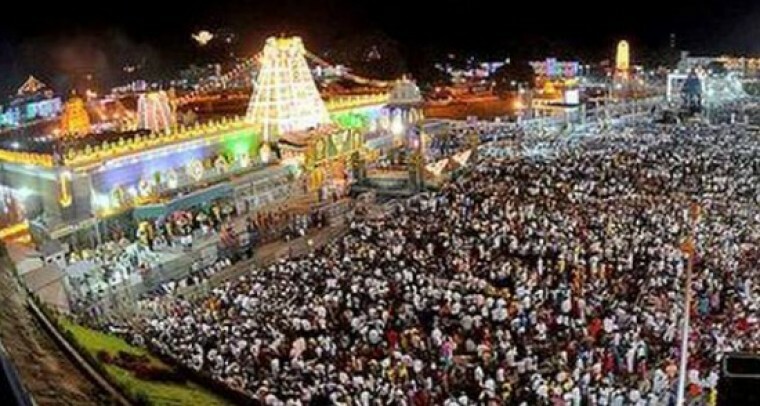 The Tirumala Tirupati Devasthanams (TTD) has offered to provide idols and religious products on subsidised to smaller temples, as part of its propagation of the Hindu Dharmic activities. The offer includes stone or ‘panchaloha’ idols, audio systems meant to broadcast devotional/spiritual content and temple umbrellas used for processions. As a special gesture to reach out to the temples run by downtrodden social sections, the TTD has announced to provide the stone idols free of cost to members of the Scheduled Castes and the Scheduled Tribes. The discount rate for temples belonging to the Backward Classes is 75% cost of the idol. For the ‘panchaloha’ idols, the subsidy is 90% for SC/ST and 75% for BC applicants. Along with the application, the temple committee will have to get a certificate to this effect from the Assistant Commissioner of the district Endowments Department or the mandal Tahsildar, apart from the temple plan and a photograph. The sale value of the idol will however depend on its size. The audio system, which includes an amplifier with DVD player, microphone with cord, a mike stand and two big speakers and compact discs containing ‘Annamayya Sankirtans,’ comes at 90% subsidy for temples run by the SC/ST communities and 50% for the BC and other categories. Meanwhile, the temple umbrellas will be disbursed at flat 50% of its original value, irrespective of the social categories of the applicant temples.